There is one album I listen to more than any other at Gizmodo HQ: Deltron 3030. The futuristic hip-hop journey is a collaboration between (the mind-boggling lyrics of) Del the Funkee Homosapien, (incredible, epic beats from) Dan the Automator, and (the insane disc-spinning skills of) Kid Koala. It's a musical dream team. The album tells the story of Deltron and the Automator as they journey through space in the distant future, engaging in cross-species rap battles and just generally being intergalactic badasses. There's really never been another album like it, before or since. The beats lull you into a head-nodding trance while they lyrics take you on an adventure. It's had a place in my Desert Island Top 5 since it came out in 2000. It was ahead of its time, and still is (by a thousand years or so). 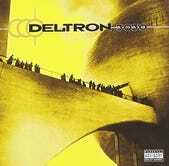 Del, Dan, and Kid began collaborating on a sequel album back in 2005, tentatively called Deltron Event II. It has been confirmed that as of January 2012 at last, at long last, the album has been completed. It is expected to be out this year, possibly in May. I'm actually giddy about it. The original album's title track in the video above is what casts us off on the journey. You can click it, or you can take my word that you want to listen to the whole thing and check it out at Spotify, Rdio, Amazon, or iTunes. Enjoy the ride.